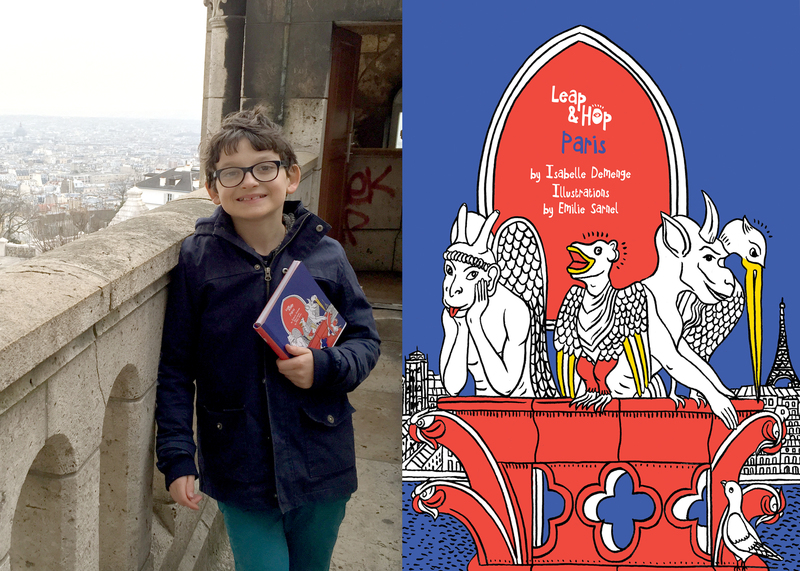 Leap & Hop Paris is coming out this week in Hong Kong and around the world but since I’m in Paris, I wanted to have the opinion of a couple of French kids. 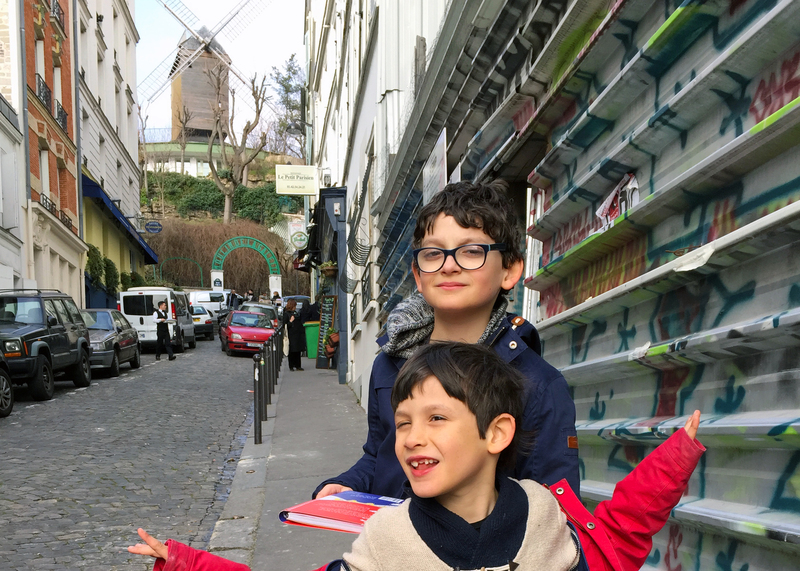 Can Pierre-Oscar, a local 10-year old, and his brother, Felix, 7, enjoy a quiz walk around the artsy neighbourhood of Montmartre written for children coming from other countries to visit their hometown? Well, the answer was a resounding “oui”! 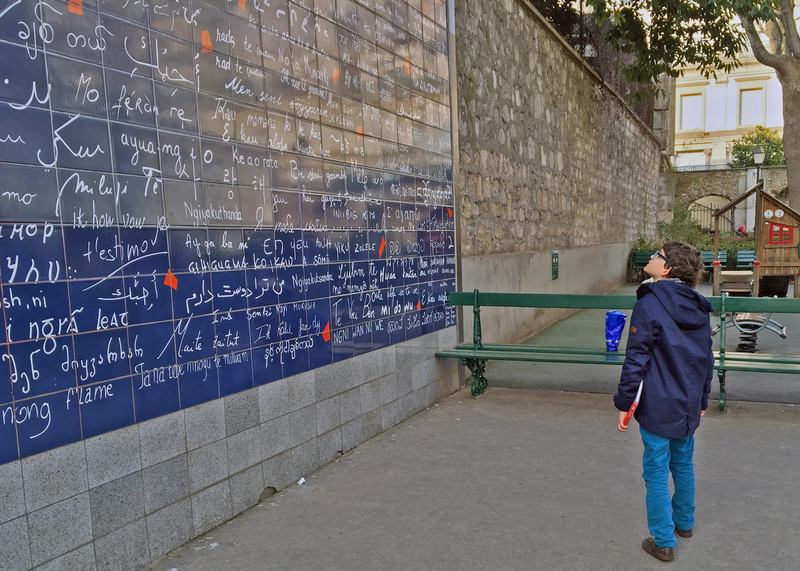 We met in front of the walls of “Je t’aime” or “I love you”, an art piece signed Frédéric Baron et Claire Kito nearby the “Abbesses” metro station. The game is to decipher on the wall “I love you” in as many languages as possible. Pierre Oscar found several French versions, as well as English, Spanish, Italian, Hindi, Arabic and several Hebrew expressions. Pretty impressive and fun. 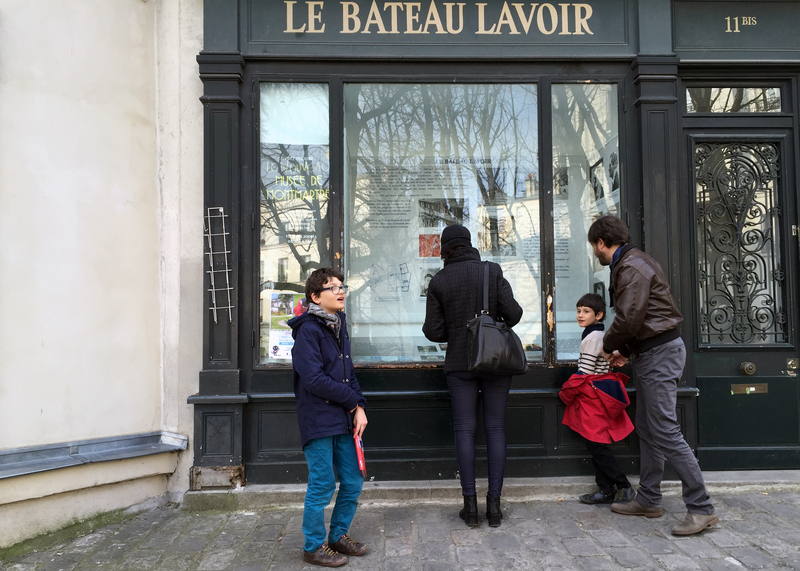 Next, he guided us through the little streets to the Place Émile Goudeau where we found the Bateau Lavoir, famous artist residence in the early 20th century. To the question: Which artist who lived in this studio painted the “Demoiselles d’Avignon”, Pierre Oscar proudly answered “Picasso”. Correct! For those who don’t know, there is a lot of information in the window. We wandered around and surprise, surprise, on top of rue Girardon spotted the two surviving windmills of Montmartre. We followed the itinerary to Place Marcel Ayme and its sculpture of the “Passe-Murailles”. 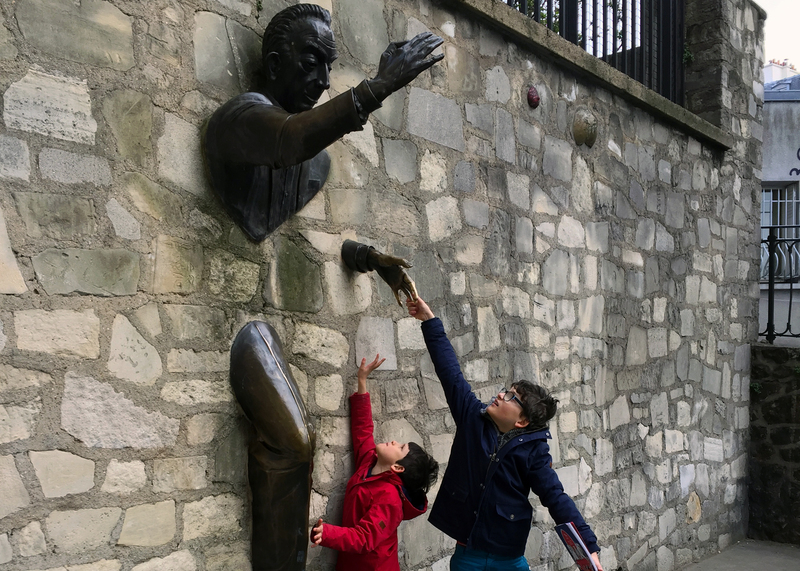 As I was busy taking pictures of the kids and the famous man, stuck in the wall, Pierre Oscar discovered not only the story of the adventures of the Passe-Murailles but that the sculptor was none other than Jean Marais, a famous French actor, known by all French kids who have seen “Fantomas” or “Beauty and the Beast” by Jean Cocteau. We didn’t know that in addition to being an actor Jean Marais was also a sculptor. 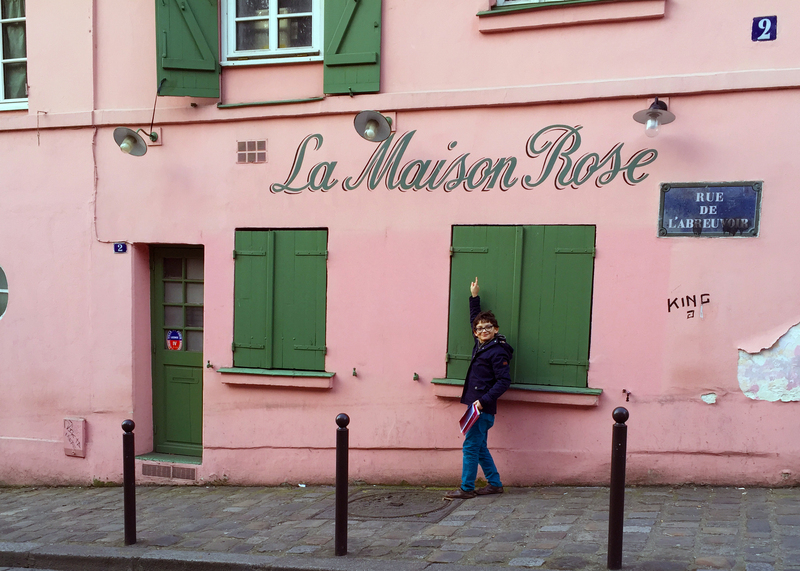 On our way to the “Maison Rose” famously painted by Maurice Utrillo , we stumbled onto the patch of cultivated land next to the Montmartre Museum. 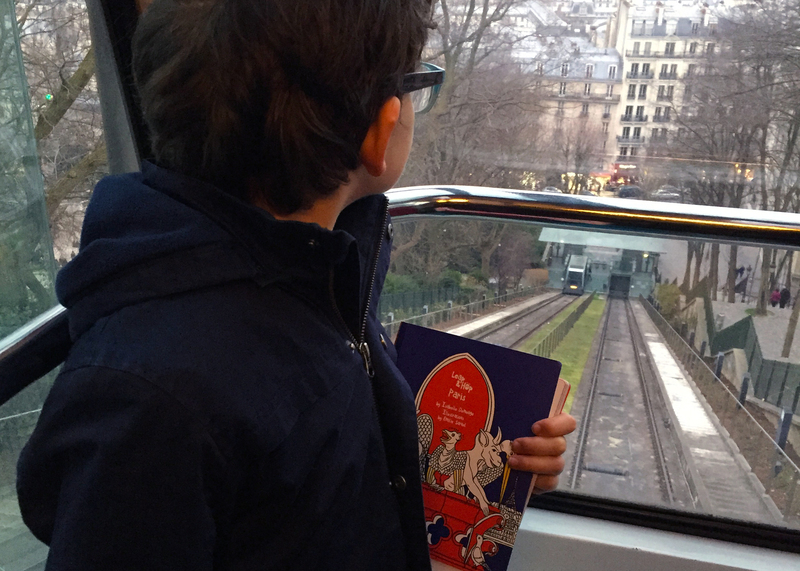 Pierre Oscar and Felix found out that there are vineyards in Montmartre and that wine is made from its harvest every year. 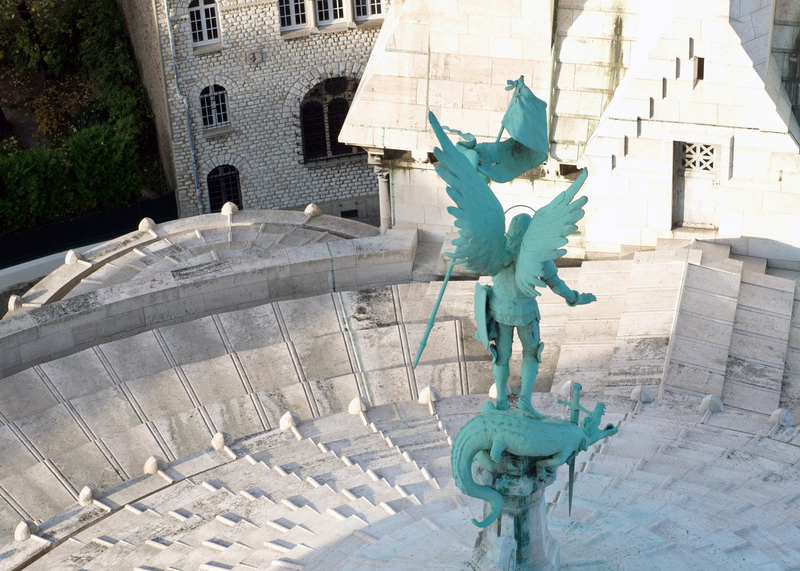 Finally, we arrived on the top of the hill at the back of the Basilica of the Sacred Heart and it took another 300 steps for Pierre Oscar to find which monster was slayed by Saint Michael. There is no front view even from the top of the Basilica. With some guessing and a little imagination, you too can find out what kind of creature he was dealing with! And it’s with a great sense of accomplishment and a lot of giggles that we rode back down on the funicular. Until the next time!